Mexico City (Agenzia Fides) - The Archdiocese of Mexico City has announced the establishment of an interdisciplinary team to assist victims of abuse to monitor, with efficiency and transparency, any kind of abuse within the Catholic Church. In the statement sent to Fides on the occasion of the presentation of the Team on March 20, we read. "As Pope Francis recalled, in the recent meeting on the protection of minors that took place in the Vatican, these events are a cause of shame, penance and repentance" (see Fides, 20 February 2019). These are the indications given by Cardinal Carlos Aguiar Retes, Metropolitan Archbishop of Mexico City: absolute commitment to timely and effective prevention; support and solidarity for the victims; full cooperation with civil and ecclesial authorities for effective justice. 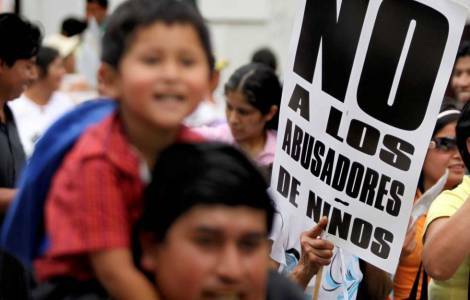 The Archdiocese of Mexico has worked extensively to respond to the urgent invitation of Pope Francis to join forces and make everyone aware of the urgent need to permanently prevent abuses being committed or hidden.